Chilton Web Wall consists of stone encompassing a wide spectrum of color, but mainly variations of shadow and sky color tones. 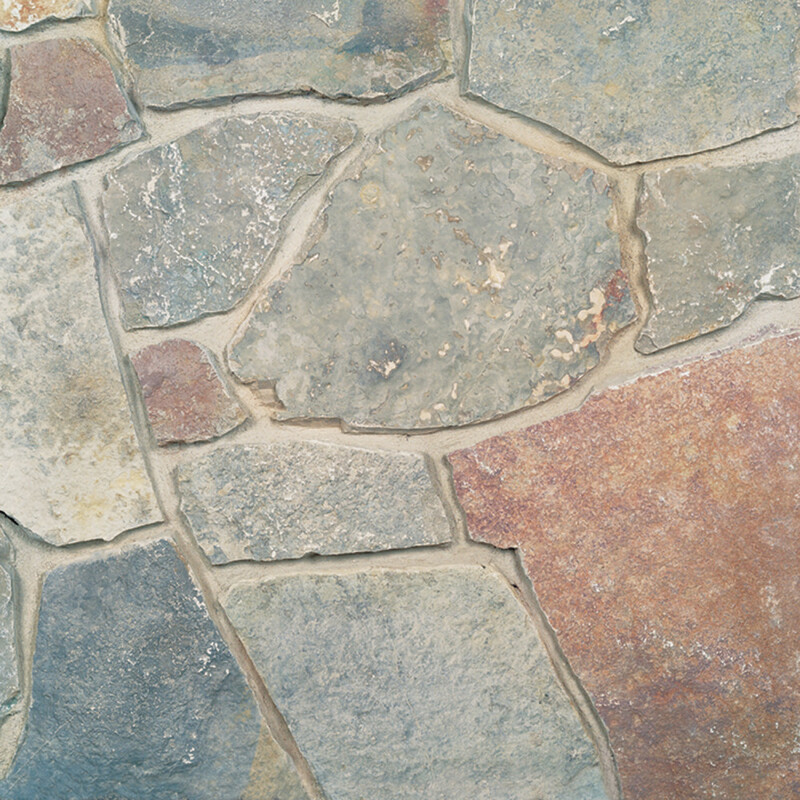 It is in Buechel Stone’s Mosaic product line. Mosaic is the art of creating images with an assemblage of small pieces of stone. It’s one of the oldest forms of art, dating back as early as the 8th century B.C. and refined by Greek craftsmen during the 5th century. The Mosaic Line of natural stone keeps this tradition alive. The puzzle pieces come to life as each irregular and randomly-shaped stone is added to the wall. The unique shape of each stone provides a finished appearance original mosaicists would praise.